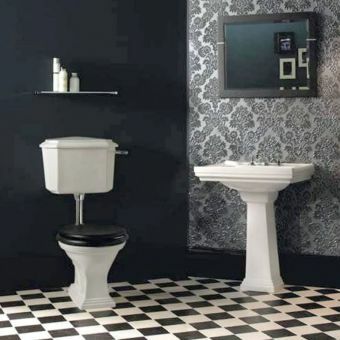 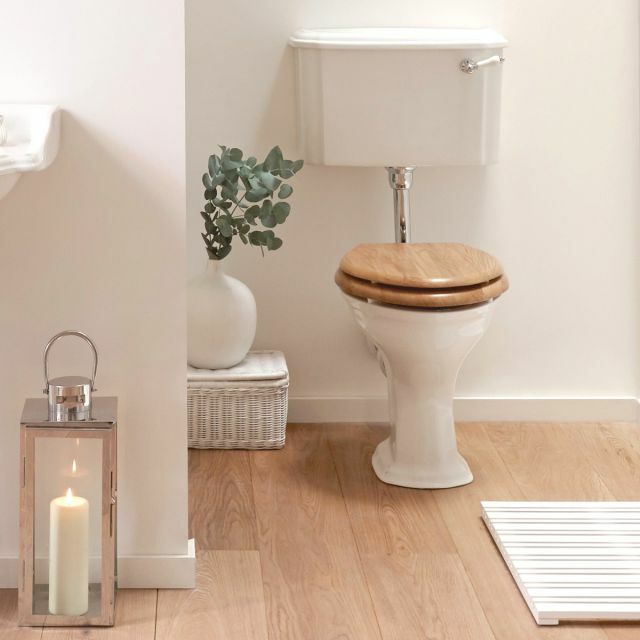 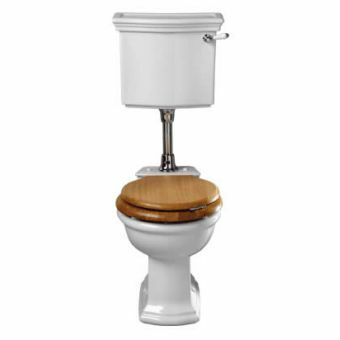 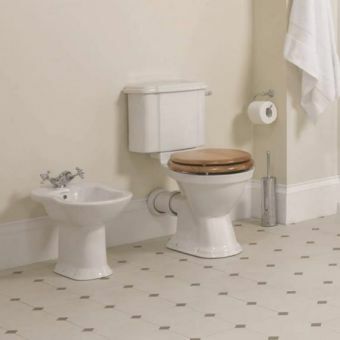 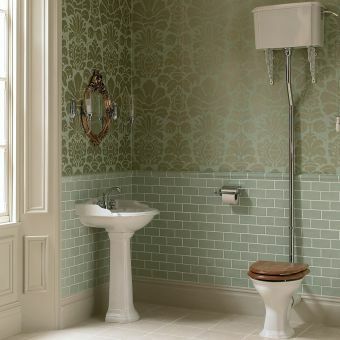 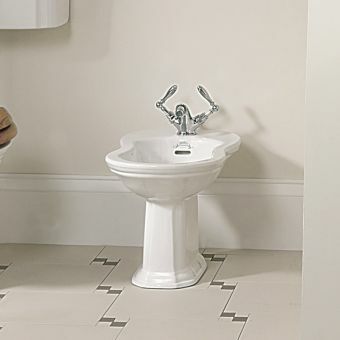 Supply any water closet with the main essentials by installing the Imperial Oxford Low-Level WC Suite. 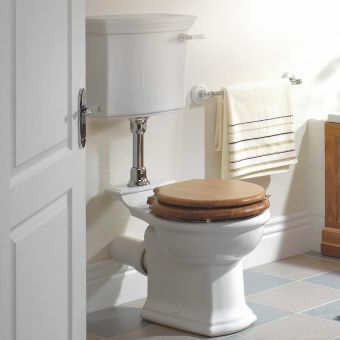 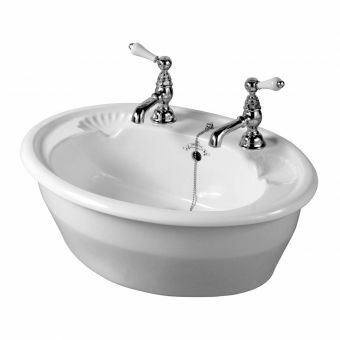 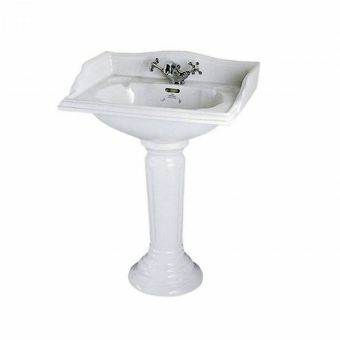 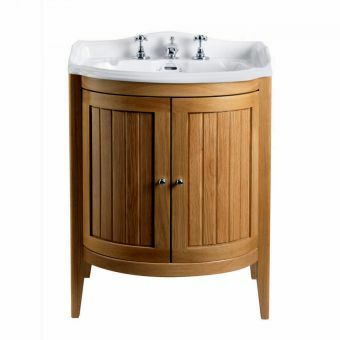 This traditional toilet gives a decorative, elegant twist to a practical bathroom necessity. 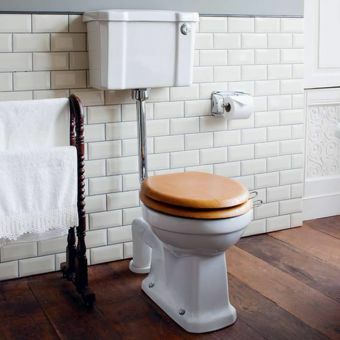 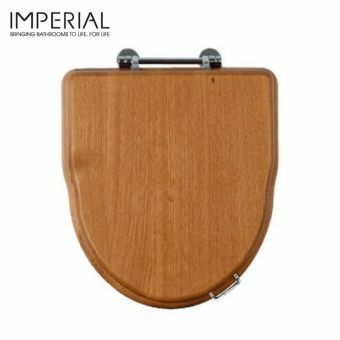 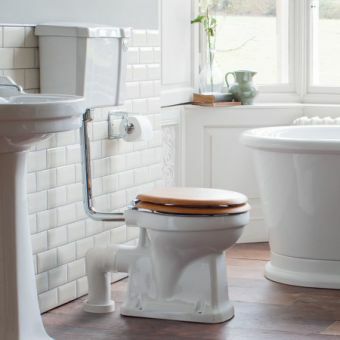 This traditional toilet from Imperial Bathrooms comes complete with a pan, cistern, connecting pipe and choice of the toilet seat in 4 colours. 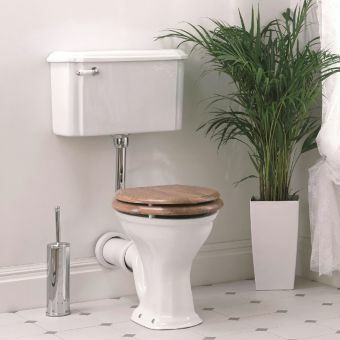 Measuring 1050 x 505 x 765 millimetres, this toilet is designed to complete any bathroom or water closet. 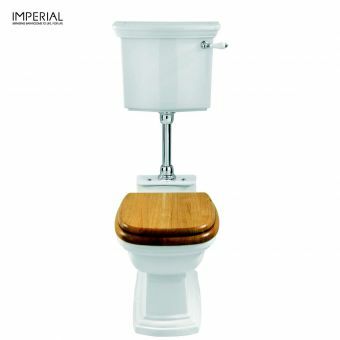 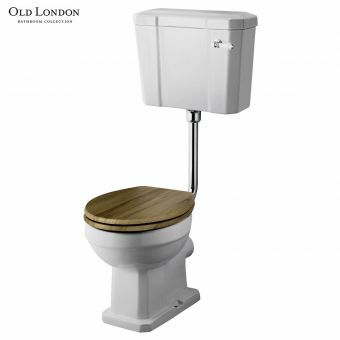 This toilet from Imperial Bathrooms includes a connecting pipe, cistern with flushing handle, and a choice of seats. 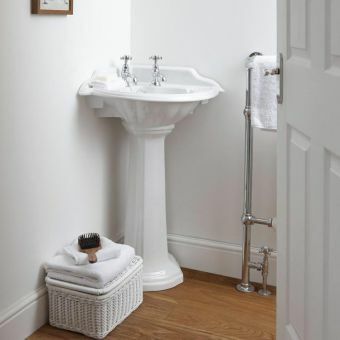 The chrome finish can be switched with an antique gold or polished nickel for an eye-catching, aged look that will blend in with any traditional or contemporary decorated bathroom or water closet.